I've long been a fan of visual note-taking using sketch notes. Here's some examples from a few of my recent talks. 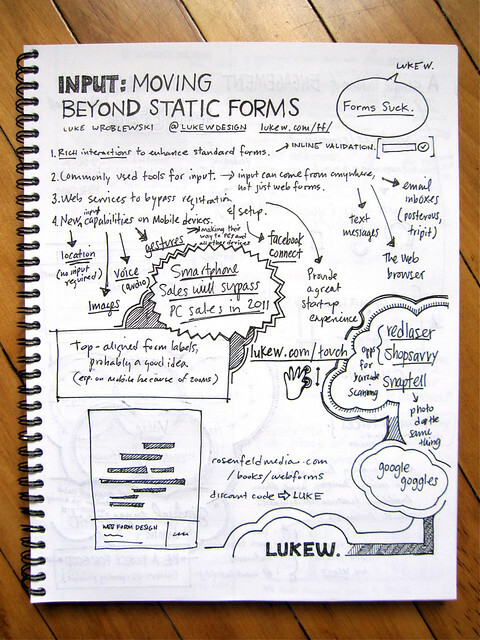 Sketch notes from Input: Moving Beyond Web Forms session at Web App Masters Tour in Philadelphia, PA by Think Brownstone. 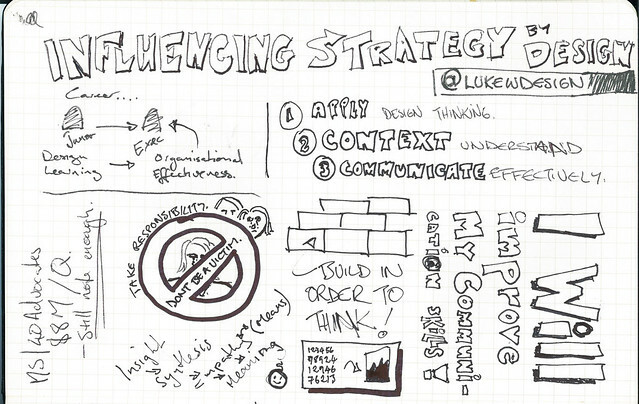 Sketch notes from Influencing Strategy By Design session at UX Lisbon by Lucy Spence. Sketch notes from Web Form Design in Action session at An Event Apart in Seattle WA by Think Brownstone. 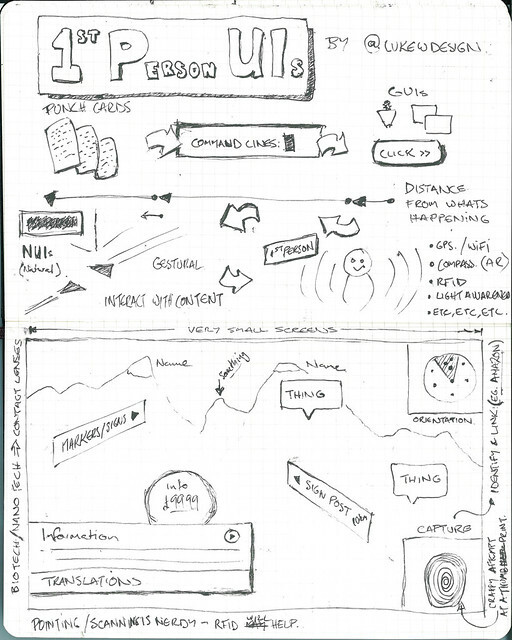 Sketch notes from First Person User Interfaces session at UX Lisbon by Lucy Spence. Thanks to these great illustrators for these wonderful notes.